The best gym to meet all of your needs. I've kept 30+ pounds off since I met Kenny Quon & you won't find a better person to safely help you transform your body, challenge you & foster a family like atmosphere where you are all cheering each other on. Feel only positive energy with this team,all styles of training are good and intelligent!!! My girlfriend and I have been going to BJJ Boston since April 2013. I take part in both kickboxing and boxing and have picked up some great techniques. With experienced and kind instructors, BJJ Boston offers an atmosphere that will evolve you as a fighter (or athlete) while building a family bond with your fellow classmates. The instructors understand that everyone comes from a different background and they structure their classes to accommodate those ranging from newbie to expert. 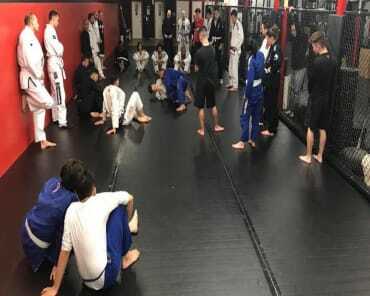 Now that they have moved to their new location by Wollaston, I have seen a renewed passionate energy and see BJJ Boston moving in a good direction. 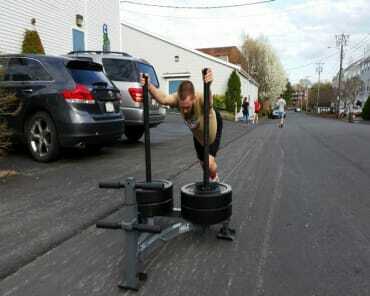 Even new classes such as CrossFit and MMA are now being offered. I recommend BJJ Boston to anyone whether you are an intimidated inexperienced person who always wanted to get into martial arts or an expert looking to sharpen or learn new skills. I plan on sticking around and look forward to welcoming new classmates! Great place to get in shape and learn martial arts. Many people there are real fighters that compete in MMA and BJJ tournaments and are willing to help you to improve your skills. The trainers are exceptional and are the best in their fields. Kenny,the owner is one of the best and most recognized Muay Thai trainers in the country who actually trains UFC champions. 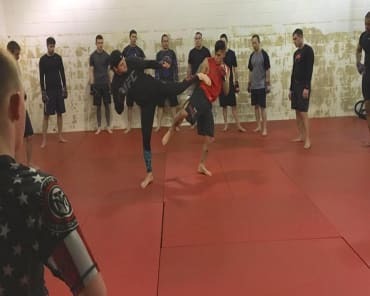 Great atmosphere and friendly to release the stress with a great workout at the same time that you learn self defense.I have to go back this week by the way. Great place to learn self defense and get in great shape. The trainers are fantastic and understands that people come in all shapes and sizes and works with each member with great patience. All the members that I had the honor to meet and train with are ego-less and extremely helpful.I joined back in May and have lost a total of 19lbs already. I look forward to class every week. I feel truly blessed to be part of this family. Please feel free to stop by and check out our new camp. More than just excellent training, but also a great supportive community! 10/10 would recommend. Ive been taking the all girls boxing class since the gym opened i love the class and would recommend anyone considering trying it stop procrastinating and get there! Thank you for letting me come in and get a workout in. It was awesome!! Hope to be back soon. Incredible facility. Strength & conditioning. BJJ. Striking. Judo. This place has it all. The space is great and the people are outstanding. No egos. Just workout & fun. Awesome please to train, great trainer.. I love the environment and everyone very supportive!